Can I Play Multi-Match Online? Read Reviews! Are you tired of the standard national lottery matrix that features a certain set of numbers drawn from a specific pool? If so, we may have a fun alternative for you. The alternative is called Multi-Match Maryland Lottery and it comes with a format that we’ve never seen before. Multi-Match Maryland Lottery was established in 2006 by Maryland Lottery – an independent state agency that is run by the local government. Multi-Match came to replace Maryland Lotto. Maryland Lotto was a standard 6 out of 49 game. Apparently, Maryland Lottery officials decided to replace the game with something a bit more unorthodox. Boy, did they succeed! The format of Multi-Match Maryland Lottery is unique and it’s one of the factors determining for the popularity of the game both within and outside the borders of the state. 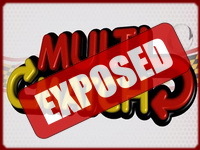 Is Multi-Match Lotto a Scam? While the highly unusual format may get you worried that Multi-Match Maryland Lottery is a scam, this gaming opportunity is a completely legitimate one. It is regulated by state rules and there’s a governmental entity responsible for overseeing the carrying out of each drawing and the selection of the winners. Maryland Lottery was established back in 1973 and ever since, the sole purpose of the organization has been the setting up of lottery games. A few of the most famous entries in the Maryland Lottery portfolio include Pick 3, Pick 4, Bonus Match 5, Cash4Life, Mega Millions, Powerball, Keno, Racetrax and numerous others. The lottery also has an array of scratch-off instant winning tickets. The Maryland Lottery is responsible for paying out prizes and distributing some of the funds generated through ticket sales to good causes. In 2012, 49 percent of the revenue generated went to education and some of the funds were dedicated to enhancing sports in the state. All of this information is provided as evidence of Multi-Match Maryland Lottery’s legitimacy. You have no reason to worry – just buy your ticket and give the game a try. How to Play Multi-Match Maryland? The cost of a single Multi-Match ticket is 2 dollars. To play, choose 6 numbers from a set of 43 and mark them on the playslip. When the ticket is submitted, the software will automatically generate two additional sets of 6 numbers each. Thus, the total set of numbers you will be playing for the respective drawing is going to consist of 18 digits. Because of the fact that you have a total of 3 sets of numbers submitted (3 lines), you’ll be eligible to benefiting from multiple prices. A single ticket can win in a couple of ways, which increases the cash sum that players could potentially walk out with. Multi-Match drawings take place on Mondays and Thursdays each week. Here’s where things get to be a bit complicated, but if you pay attention, you’ll get it immediately. The individual matches on each line and the total number of matches will both produce a prize. Let’s first examine single line matches. If a single line from your 3 matches all 6 numbers for the respective drawing, you will win the Multi-Match Maryland Lottery jackpot. The odds of this happening are 1 in 6,096,454. These are pretty favorable odds in comparison to what other state, national and international lotteries have to offer. If there’s no jackpot winner for the respective drawing, the amount will roll over. This is the main reason why Multi-Match produces some pretty impressive jackpots. The biggest one in the history of the game fell in September 2009. The amount had reached 4.8 million dollars. The second biggest jackpot was 4.45 million dollars and it fell in March 2010. The third biggest amount ever handed out in the form of a jackpot was 3.8 million dollars. Getting 5 matches in a line produces a prize of 1,000 dollars. The odds are 1 in 27,461.50 per ticket. Four correct numbers produce a prize of 20 dollars (1 in 610.30 odds) and 3 correct numbers in a line will lead to a prize of 2 dollars (1 in 39.20 odds). Now let’s take a look at the cumulative number of matches. This refers to the total number of matches for all 3 lines. If you have 10 or more matches, you will win an additional prize of 2,000 dollars. The odds of this happening are 1 in 168,239. Nine matches from a possible 18 produce a prize of 500 dollars (the odds are 1 in 15,098). If you have 8 matches, you’ll get an additional prize of 100 dollars (1 in 1,740 odds). Seven matches produce a prize of 20 dollars, 6 matches – 7 dollars and 5 matches produce a prize of 2 dollars. As you can see, a single ticket can help you win in several ways, especially if you have matches on every single line. The overall odds of winning a prize in Multi-Match Maryland Lottery are 1 in 8.5, which is incredibly favorable. All winners have 182 days from the date of the drawing to make a prize claim. Winning tickets that produce a prize of 600 dollars or less will be cashed out at any licensed retail venue. Larger sums can be redeemed at the Maryland Lottery customer service centers in Baltimore and Lanham. The Multi-March jackpot prize will be paid out in the form of 25 equal annual installments. There isn’t a cash option that enables winners to claim a lump sum. Keep in mind that taxes will be withheld prior to prizes being paid out for sums exceeding 5,000 dollars. There will be a 25 percent federal tax and an 8.75 percent state tax. The state tax for non-residents is 7.5 percent. International players who play Multi-Lotto should be prepared to dedicate 30 percent of their prize to federal taxes. It’s also possible to send a prize claim by mail. The necessary form is available on the official Maryland Lottery website. The form should be downloaded, filled out and sent to the organization’s headquarters in Baltimore. Prize claims of 25,000 dollars or more will be processed within 15 business days. Smaller sums are paid out immediately. Can Multi-Match be Played Online? Unfortunately, Multi-Match Maryland Lottery isn’t open to players who don’t reside on the territory of the state. You can’t buy tickets online through web-based lottery agents. A purchase will have to be made in person at a licensed retail venue. Both out-of-state players and people who aren’t US residents can buy Multi-Match tickets during their stay in Maryland. The taxes that apply to their winnings will be different and the percentages have already been outlined in the previous section of the article. Would you mind rating Multi-Match? What’s the final verdict? Maryland’s Multi-Match lotto is definitely worth exploring. The fun format makes it possible to claim several prizes with a single ticket. No other lottery offers the same level of versatility in terms of winning cash. If you are in Maryland right now, you should certainly buy a ticket and let us know about your experience with Multi-Match. Good luck! I love the concept of the double way to win, firstly with your straight lines and the combo way. That it is open to international players. I wish I could find some where online to play. It’s a long way to go to buy a lottery ticket! One thing – what happens when you buy more than one ticket? Are they grouped for the combo game?